I’m on my way over there with my camera and ready to shoot our first video. My girlfriend Kelly cheerfully announced. No. I’m Not Ready, was my immediate retort. Well girl, just look at it as if you will just be cooking for tonight’s dinner. You could do it. You could do it! Four powerful words that sparked enthusiasm and excitement. Before I knew it, I was giggling with her, in front of the camera like we were just having fun. And this my friends is what I would like to present to you… my first collaborative work with Kelly. Thank you Kelly for the encouragement, the tips, and for shooting this video blog. And to you my friends here in Foodipino, thank you for being with me in this journey. I still have a lot of work to polish my videos but I’m sharing it with you anyway. Thank you for watching. Let me know what you think. 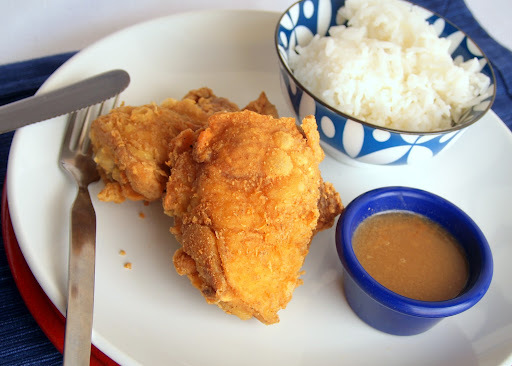 And oh I have shared the recipe of Fried Chicken a la Jollibee in a previous post. Please click here if you want the recipe. Thank you to all of you who kept in touch with me but for those who would want to, I also would love to see you drop by my Facebook page. See you there. My dad tried to look for 5-spice and told me that he could not find it in stores. 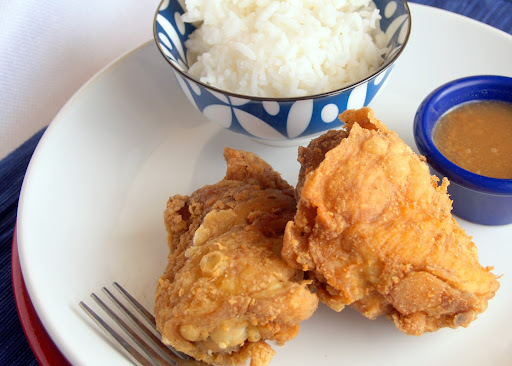 What was the brand that you used for this recipe? @Vicka, where is your dad located? In the Philippines, 5-spice powder is also called Ngo Hiong powder and should be available in grocery stores, if not in Chinatown. In the US/Canada, it is called 5-spice powder. Available at many asian groceries. Usually it’s sold in plastic see-through packets hanging along the spice aisle. I’ve read a few just right stuff here. Definitely worth bookmarking for revisiting. I surprise how a lot attempt you place to make this type of great informative web site.